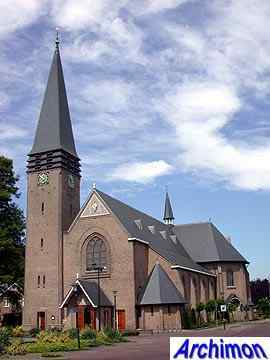 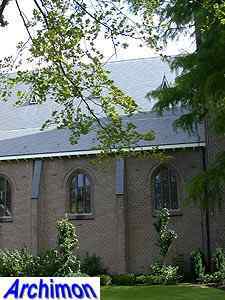 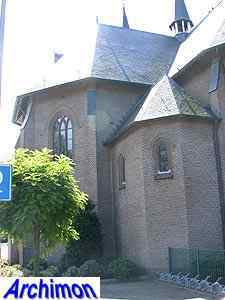 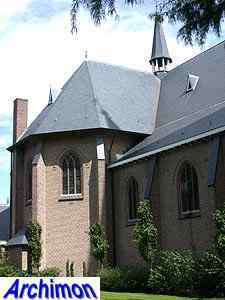 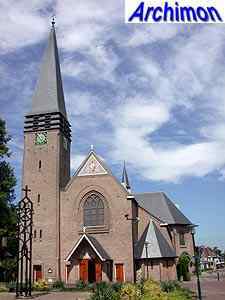 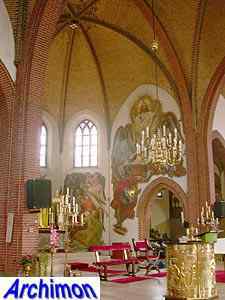 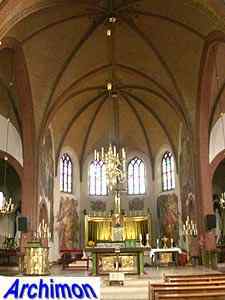 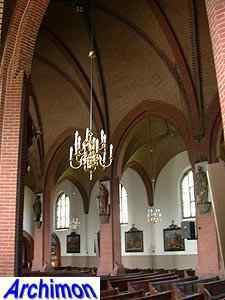 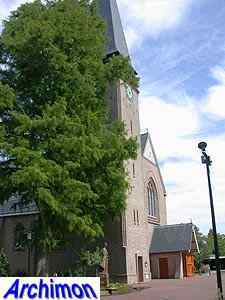 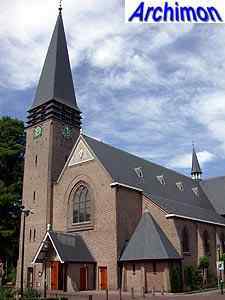 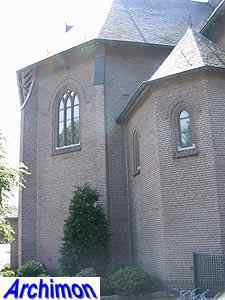 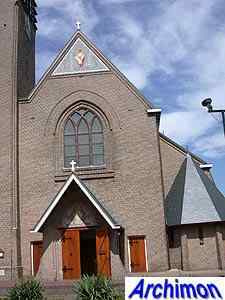 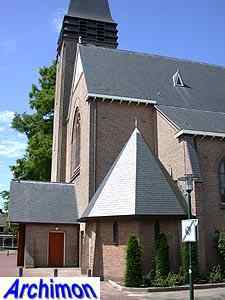 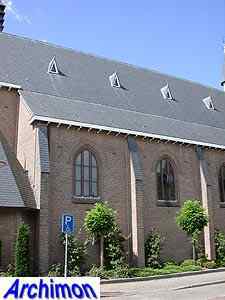 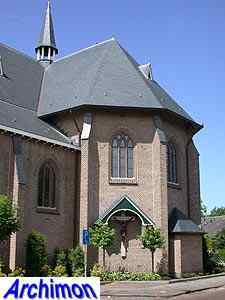 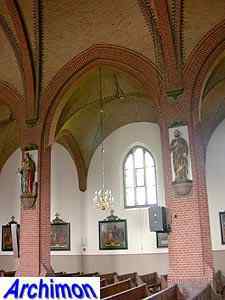 The current St. Pancratius of Geesteren was built to replace an earlier church built in 1820. 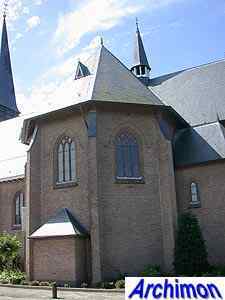 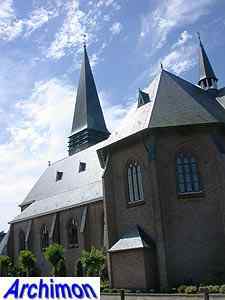 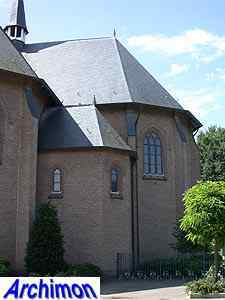 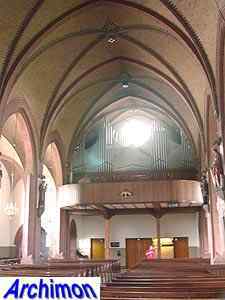 Architect Jan Stuyt designed the church in a combination of styles, mixing neo-Gothic with Traditionalism. 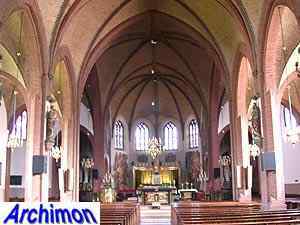 It's a three-aisled pseudo-basilica with polygonal transept-arms and choir. 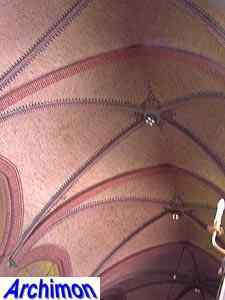 In the corners between transept and choir are lateral chapels. 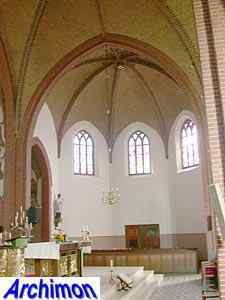 There's a polygonal baptistery in the corner between the front of the nave. 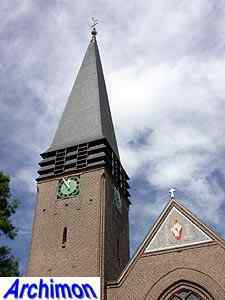 At the other side of the front is the tower, which has a remarkable spire with louvres. 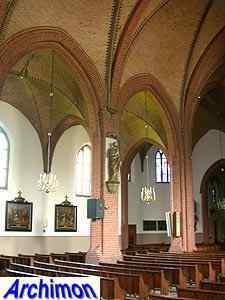 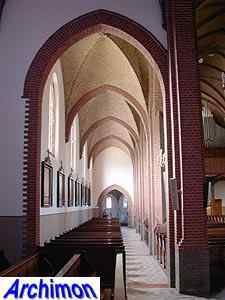 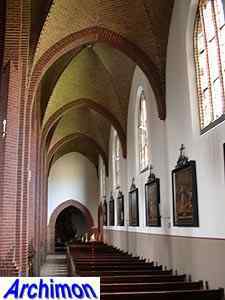 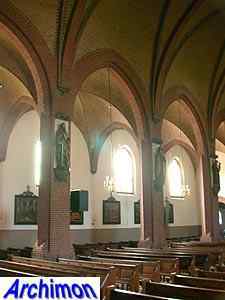 The church is entirely covered with brick vaults, yet it has only modest buttresses to support them. 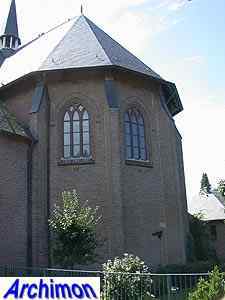 Stuyt also designed the presbytery.